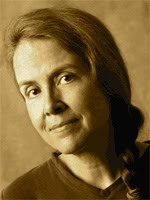 A Year of Being Here: Naomi Shihab Nye: "Fresh"
"Fresh" by Naomi Shihab Nye, from You & Yours. © BOA Editions, 2005. Photograph: " 'Simple' Still Life," by Mark Longo (originally in color).